Cyber crime is one of the most dangerous criminal threats in the world presently. In this digital era, where everything is or has moved online, there is need for diligent care when on the Internet. Criminals have now graduated to hacking, which enables them to be able to steal a person’s information or money through computers. Our country has not employed the best of measures to tackle cyber crime, which has enabled the (frequent) hacking of different institutions, especially financial ones. An example would be the hacking of the Kenya Revenue Authority (KRA) that resulted in a loss of Sh4 billion. This demonstrated how unprepared most institutions are when it comes to cyber crime. In 2014, the Kenya ICT Authority embarked on an overhaul of government websites, even hosting them under one server in a move aimed at boosting security after a number of cyber attacks occurred. However, even after hosting them in one server, they still do not seem immune to hacking. For instance, at the start of the year the Communications Authority of Kenya (CA), was hacked. 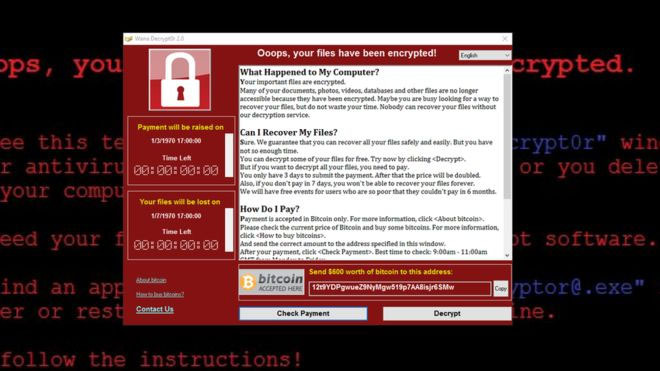 The recent WannaCry ransomware virus did even more damage, in yet another show that most people – and firms – have not fully comprehended the threat posed by hackers. The virus affected at least 19 organisations in the country, such that they were unable to access almost all files on their computers unless they paid the ransom demanded by the hackers. The recent insistence by the Central Bank of Kenya that the country’s financial institutions need to strengthen their cyber crime protection regimes must be heeded. Unless the banks boost their security, they may end up falling victim to hackers, which disadvantages not just the institutions but also their clients. There is a need to employ requisite expertise by these institutions – as well as other corporates – to ensure that they can deal with cyber threats. Commercial banks need to ensure they submit their cyber security policies, strategies and frameworks to the CBK, and actually stick to them. With government agencies at both national and county governments increasingly relying on technology for numerous functions and service delivery, the threat of cyber security has been heightened. Now, more than ever, we must all realise that cybercrime is not some futuristic concept that we can put off, but a present reality we must confront.